Item number 2738/56 from the MOA: University of British Columbia. 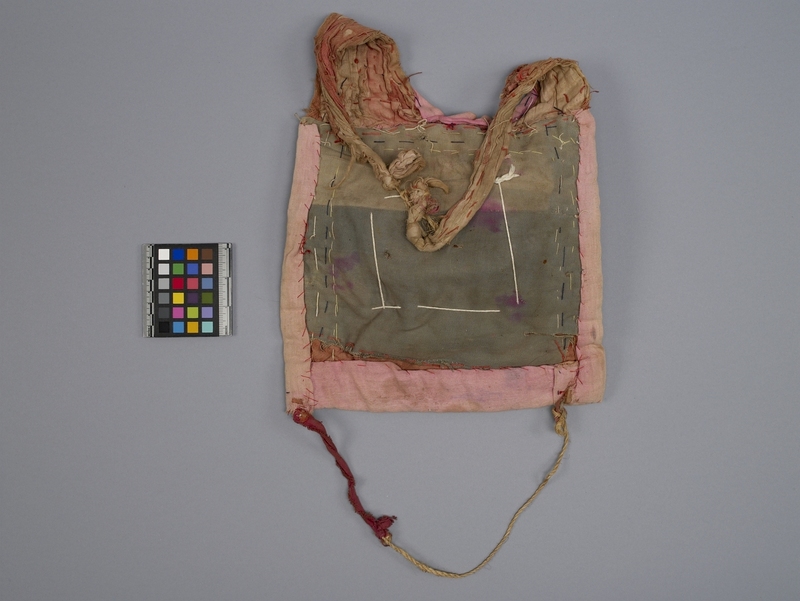 Breastplate of a Corpus Christi dancer's costume with shoulder straps and rope waist ties, made from pink, red and brown scraps of material. 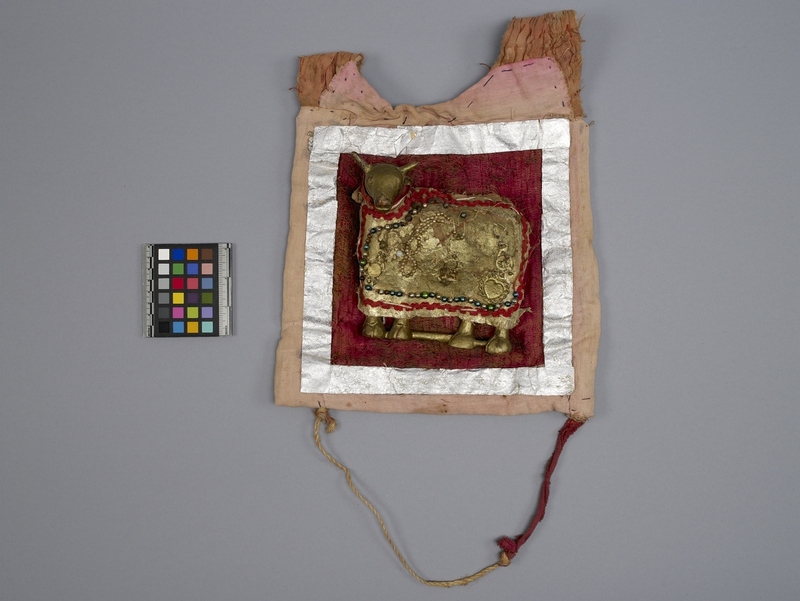 Sewn onto the front is a square of dark maroon material bordered with silver foil, in the centre of which is a three dimensional wooden lamb covered with a blanket, painted entirely in gold and adorned with tiny metal objects, strings of blue, green, silver and fake pearl beads, and gold foil.